This set is perfect as a house-warming present, a birthday gift or to display in your own home. The inviting aroma of this candle has delicate vanilla tones, floral top notes of wisteria and orange blossom and the depth of white tea. Home Sweet Home Fragrance Gift Set. An inviting aroma of this candle has delicate vanilla tones, floral top notes of wisteria and orange blossom and the depth of white tea. A lovely candle for yourself, or as a gift. Set includes a 9cl candle and a 50ml diffuser in one of our eco-friendly boxes, finished with a ribbon. 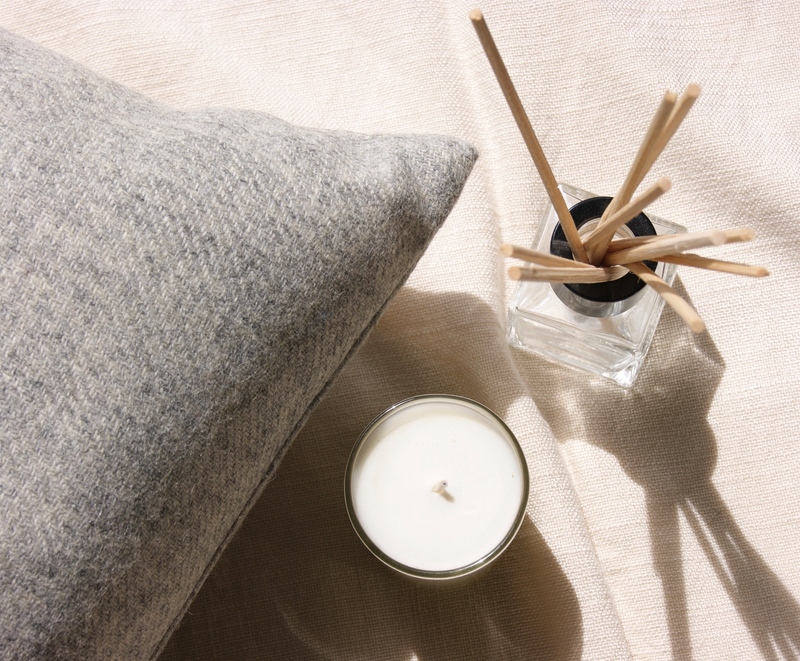 Candle: Made in the UK, cruelty free and handmade from ethically sourced natural plant products. Burn time approximately 20-30 hours. 9cl votive candle. Diffuser: 50ml Diffuser. To refresh and strengthen the fragrance we recommend turning the sticks over once a fortnight. N.B. The heat of the room the diffuser is kept in effects the time it lasts and the strength of fragrance, e.g. 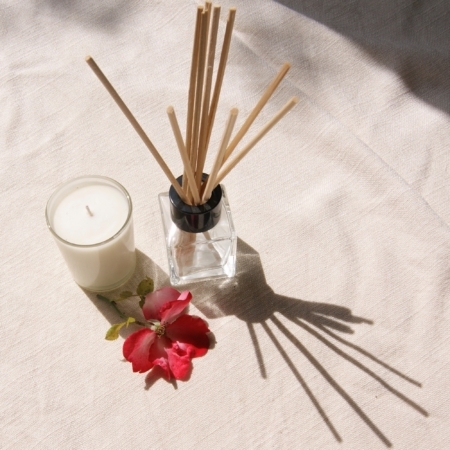 in a hot room, the diffuser will have a stronger fragrance but will need replacing faster.